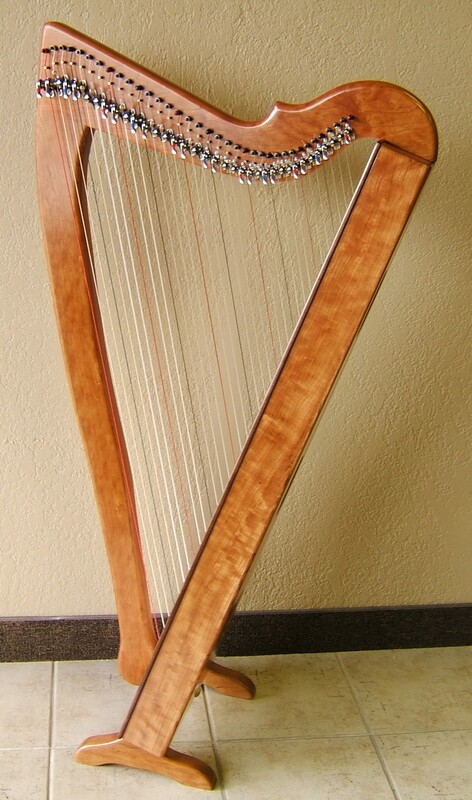 The Aberdeen Meadows Harp is made to be large – both in voice and in stature. Very different than the Glen Aulin, this harp is an all occasion instrument designed to be the center of attention at every event. The string action of the Aberdeen supports both light touch, with subtlety and color, and firm touch, still rising to full voice allowing for a comprehensive dynamic range. The Aberdeen is sized so that a player can sit in a standard height chair and play the harp without the need for a harp stool. 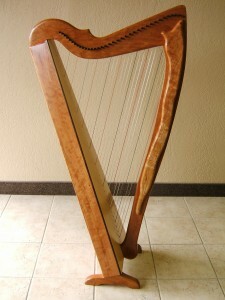 This harp is an impressive performance instrument and relies upon the signature Rees asymmetrical, poplar soundboard. The parallel-plano back configuration makes this harp design more comfortable on the shoulder and arm while allowing the player more leg room than that of staved backs. 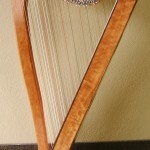 The Aberdeen Meadows harp comes standard with tapered harp pins and full Camac sharping levers.